David Wise's alternative lifestyle: Will this young, happily married Olympian start a new culture war? Will This Young, Happily Married Olympian Start a New Culture War? The biggest American downhill skiing star of the games is Bode Miller, who’s known by non-skiing fans as that guy who partied too much at the 2006 games. Every Olympics news cycle ends (this is not an original point) with reports of condom shortages at the athlete villages. Wise is the alternative star. Get it? Get this, too: Wise got married and had a kid at a far younger age than most people. According to data published by the National Campaign to Prevent Teen and Unplanned Pregnancy, the median age of the American first marriage is 26 and a half. The average age for an American bringing the first child into his/her homes: About 25 and a half. 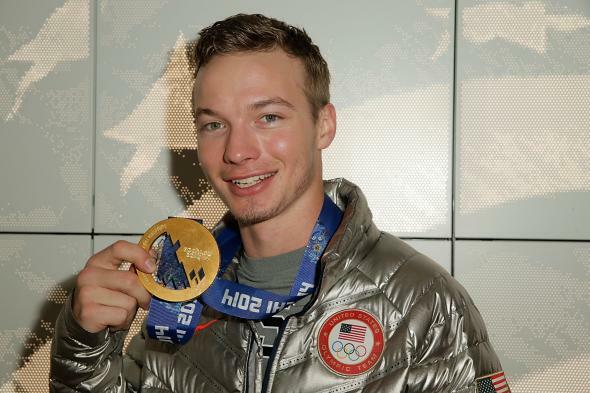 So, yes, David Wise is very good at skiing, and he figured out, as the Internet might refer to it, that whole adulthood thing much faster than the median American or median famous Olympian. Good for him! Let’s not have a culture war about it. *This is a fantastic sportswriter name.